Northwestern State’s soccer match with Texas State has been moved to Byrd High School on Friday at 7 p.m because of rain from Tropical Storm Harvey. Admission remains free at the new venue. Byrd High’s address is 3201 Line Avenue. 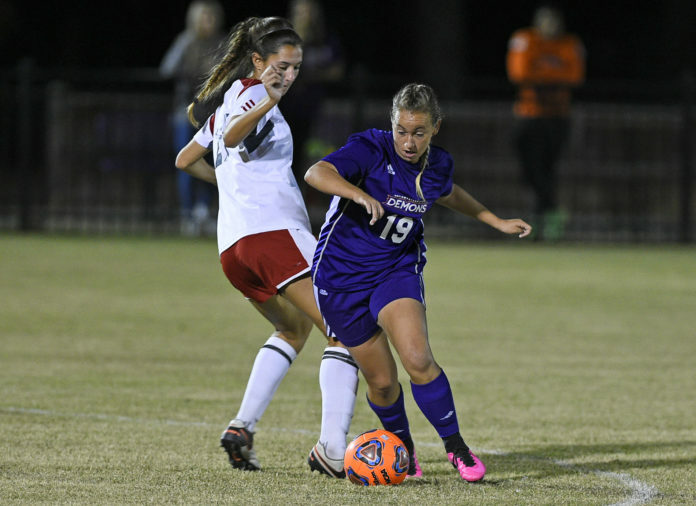 NSU (2-1) is coming off a 1-0 win at ULM this past week. Texas State (0-2-1) is lost to Texas A&M-Corpus Christi 2-1 this past week. The contest in Shreveport-Bossier will be NSU’s second this season after the Lady Demons played an exhibition against Little Rock at Freedom Fields in Bossier City. Next articleRoad Closures/Alerts – keep track here for updates as they become available.